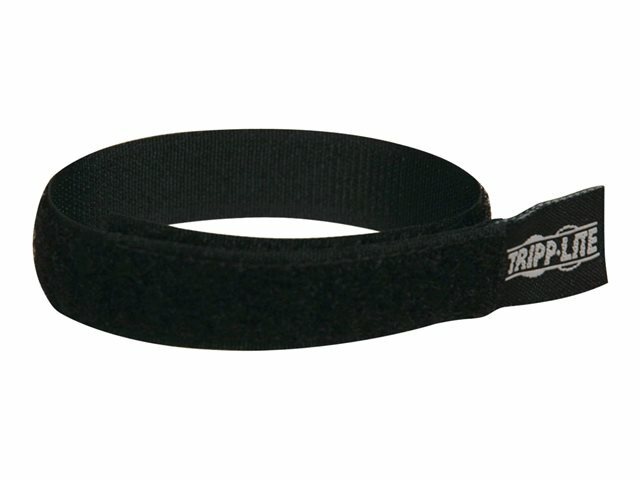 Tripp Lite's Hook-and-Loop 10 Pack of Wire Ties is the must have accessory for keeping bundles of cables manageable. Will not crimp Cat5/Cat6 patch cables like nylon ties when over-tightened, and, unlike nylon ties, are re-usable over and over again. 10" Long by 5/8" Wide x 10 pieces.